FC Barcelona have been one of the leading figures at the Laureus World Sports Awards. 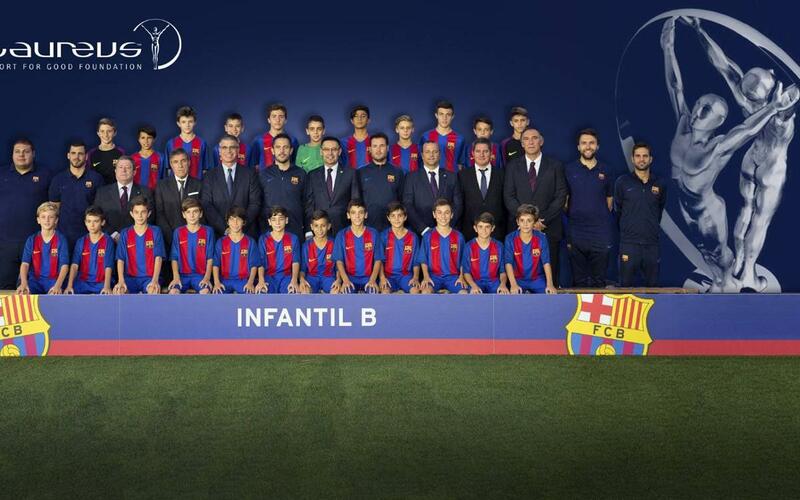 The blaugranes were represented by the U14B team who claimed a prize in the in the category ‘Best Sporting Moment of the Year.’ Their gesture, consoling their opponents after the final in the World Challenge Cup in Japan, was one that was seen around the world. What is the Best Sporting Moment of the Year award? For the first time the fans have been able to play a part in the Laureus Awards which are given out to the best sportsmen and women on an individual and collective level. This new category was voted for by people all around the world on-line. The category ‘Best Sporting Moment of the Year’ is designed to represent the gesture which embodies best the values of sport. There were six finalists chosen by the Laureus Academy and the U14B team’s gesture pipped the young Portuguese fans who consoled a desolate French fan after the final of Euro2016 between the two nations.